The annual U.S. News 2016 best Cars for the money winners were announced and we are proud to announce the Lexus NX has been named the top vehicle in the Luxury Compact SUV class. 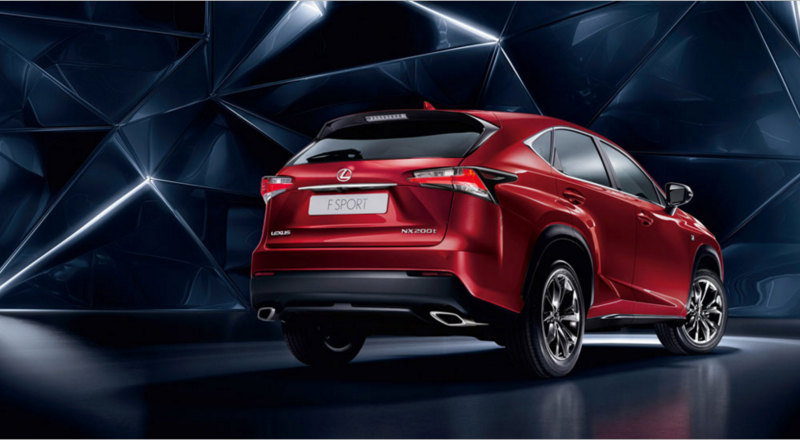 Last year Lexus introduced the NX to its lineup, a model that received a warm welcome from drivers and critics alike. The NX was Lexus’ first compact crossover vehicle and was also developed with a new design direction that has not started to be applied to other Lexus SUV options such as the RX. With the car still in its developmental infancy, it is no surprise that the 2016 model comes with a number of small refinements and upgrades without trying to reinvent anything to major. Let’s take a look at additional features that Lexus has brought in with the 2016 NX. The 2016 Lexus NX has two main options when it comes to powertrain. The standard NX 200t which is a gasoline powered 2.0L four cylinder turbocharged engine. In fact, when Lexus introduced the NX last year, the 200t featured Lexus’ first turbocharged engine. It pushes out 235 horsepower but is developed to also prioritize high fuel economy which affects the way it accelerates more than anything. It is available in front or all-wheel drive. The 2016 Lexus NX 300h is a hybrid engine that delivers 194 horsepower. The focus for the hybrid is of course on fuel economy, but also on delivering a smooth ride that seamlessly moves between electric and gas power. Although not technically a different powertrain option, Lexus has also worked hard to develop their F-Sport brand. This model takes the standard turbocharged engine and pairs it with a different suspension set up and a plethora of other features. The F-Sport is all about separating itself from the base models, and it does so by modifying the exterior grille and light configuration, changing the badges, modifying the interior, and even upgrading the seats for extra comfort. There is no doubt that the F-Sport is the height of Lexus luxury especially when it comes to interior comforts. By setting the F-Sport model to “sport mode” you can better explore the true potential of the turbocharged engine while sacrificing fuel economy. As a luxury vehicle, the 2016 Lexus NX comes equipped with the best in infotainment and safety features. Sensors and cameras help with blind spot detection, backing up, and even collision avoidance. The interior features a great heads up display system that shows gauges and even navigation and audio information on your windshield instead of having to look away from the road towards your console. Interior features that have become commonplace such as voice activation, touch screen interface, upgraded audio systems, and cell phone integration are all included in the NX as well.